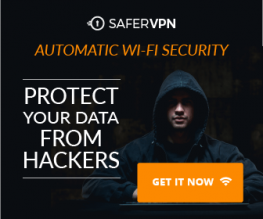 Normally I use Shadowsocks proxy and OpenConnect VPN to bypass Internet censorship, but there’s possibility that these two tools would be blocked in my country. Web proxy is a good backup method as it doesn’t have any characteristics of SOCKS proxy and VPN. In the eyes of Internet firewall, it’s just normal HTTPS traffic. There are tens of thousands of free web proxies online. The downside is that once those public web proxies become well-known, they can be easily blocked. Setting up your own private web proxy has the advantage that only you know its existence. A VPS (Virtual Private Server) that can access blocked websites freely (Outside of your country or Internet filtering system) and a domain name. For VPS, I recommend Vultr. They offer 512M memory high performance KVM VPS for just $2.5 per month, which is perfect for your private proxy server. SSH into your Ubuntu 16.04 VPS. If you like to use Nginx as web server, then nstall Nginx and PHP7 by executing the following command. Download Glype by running the following command. Extract it to /var/www/proxy/ directory. Set www-data (web server user) as the the owner. We can use Composer to download PHP-Proxy. Install Composer from Ubuntu 16.04 repository. 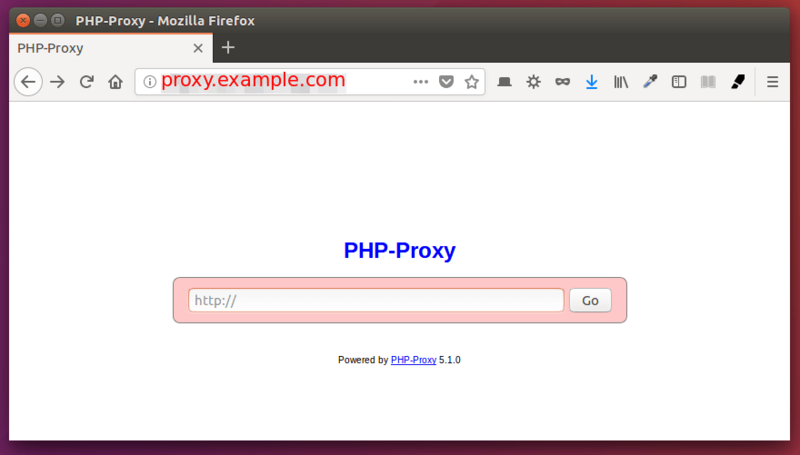 Then download PHP-Proxy to /var/www/proxy/ directory. In this step, we need to create a Nginx server block or Apache virtual host for our web proxy. Create a server block under /etc/nginx/conf.d/ directory. Copy and paste the following lines into the file. Replace proxy.example.com with your real domain name. Don’t forget to set A record in your DNS manager. Create Apache virtual host in /etc/apache2/sites-avaialable/ directory. Now visit proxy.example.com in your web browser. 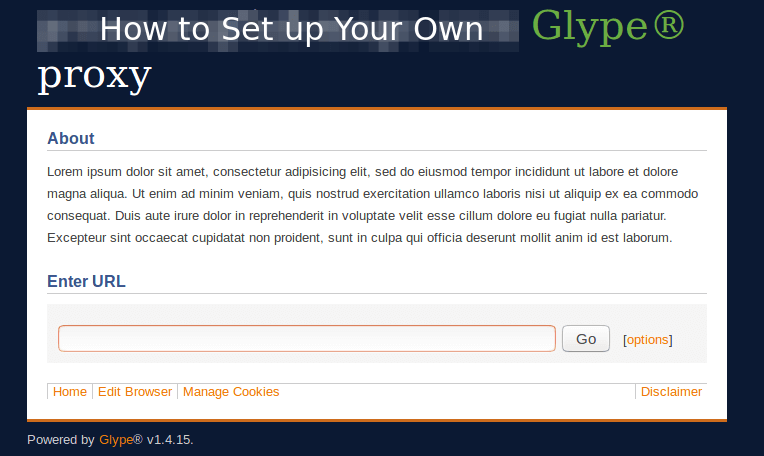 If you use Glype, then you will be redirected to admin control panel (proxy.example.com/admin.php). If you use PHP-Proxy, you can see a working web proxy waiting for you to enter a URL. Now let’s enable HTTPS with Let’s Encrypt. We can install Let’s Encrypt client (certbot) from the official PPA by executing the following commands. 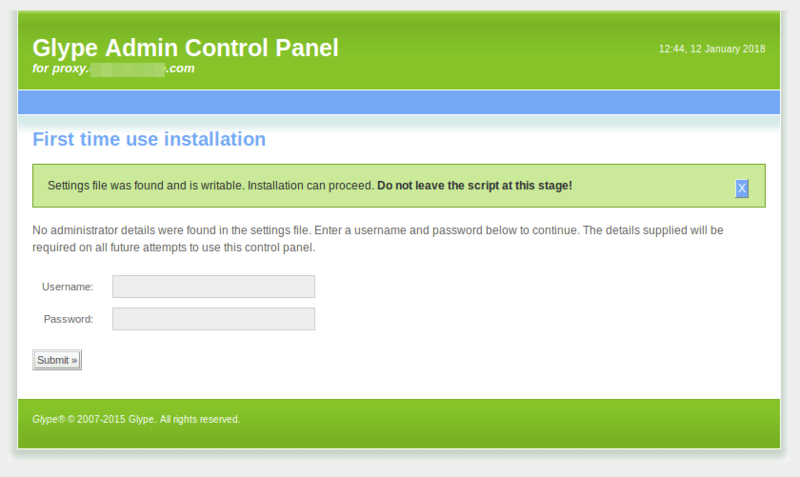 Nginx users also need to install the Certbot Nginx plugin. Enable HTTPS with the Nginx plugin. Apache users need to install the Certbot Apache plugin. Enable HTTPS with the Apache plugin. If you get the following error message. Please check out this post on Let’s Encrypt forum to fix it. Once the certificate is successfully installed, refresh your proxy in your web browser to use HTTPS. Block the IP address of the website. Hijack the DNS response to give the end user a wrong IP address. If you are worried about your web proxy being blocked by Internet censors, you can put your web proxy behind a CDN (Content Delivery Network) like Cloudflare. This way, your server IP address are hidden and if the Internet censor decide to block the Cloudflare IP address, there will be collateral damage as there are many other websites that are also using the same IP address. This will make the Internet censor think twice before doing so. To prevent DNS poison, the end user should be using DNS over TLS or DNS over HTTPS. To prevent leaking the SNI information, the website should be using encrypted SNI. That’s it! I hope this tutorial helped you create your own web proxy on Ubuntu 16.04. As always, if you found this post useful, then subscribe to our free newsletter to get more tips and tricks. Thank you so much for this great tutorial, upreaciate it very much! I have install my own privateGlype proxy site and it works when I using it from the url form. Instead of submitting to the url form using POST method, Can I connect to the proxy using GET method from my php code? How do I set A record in DNS manager for Android 7? You need to have your own domain name and set A record in the web-based DNS manager of your domain registrar. Did you mean the Reverse DNS? No. This has nothing to do with the hostname of your VPS. You need to buy a domain name from a domain registrar like NameCheap (Click here to register your domain as low as $0.48/year).Then create A record at NameCheap. I check my VPS. It has Hostname…but I don’t see the option to set A record. Your VPS may have a hostname at your hosting provider’s control panel, but it’s usually not public accessible, unless you buy a domain name from a domain registrar. Do I need nginx and apachy or just one of them? I tried to install curl, nging and unpacked glype but i can’t get it to work. I get a nginx welcome unconfigured page. I then adjust config file to point to domain (example.com equivalent) and restart but i then get 500 error. You need to install only one web server. I personally use Nginx. You can check your web server log to find out what’s wrong. You are a star Linuxbabe – great work. Particularly like that you always try and offer more than one option, for example Nginx or Apache. Keep it up.